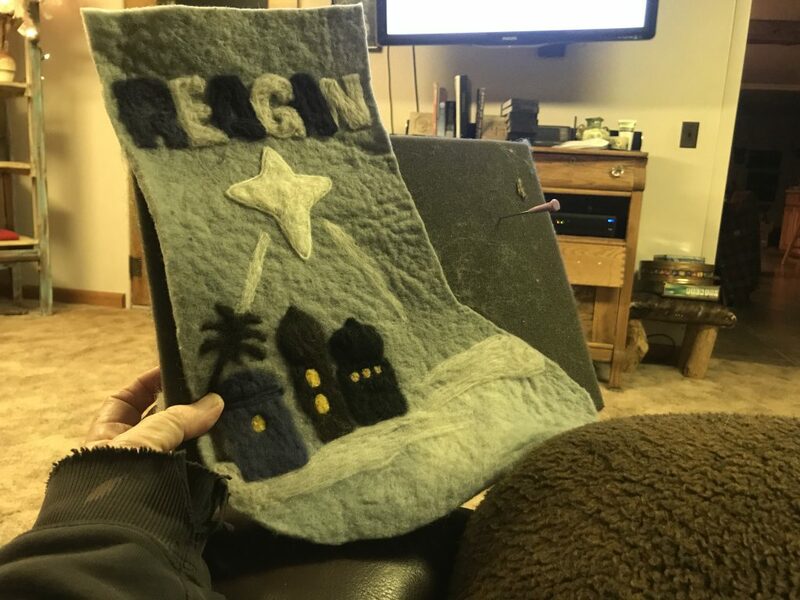 As I recover from the latest bout of grandchildren based germ warfare… and they win every time, by the way… I started on Reagan’s Christmas stocking. Yes, I’m late… don’t tell her! Oh, it needs sparkle… and… more… but hey, the last grandchild now can catch up to the other seven! Beautifully done Carol. It will be treasured and I expect passed onto the next generation. Hope your feeling better. Sometimes I just want to put a big ol’ heart here, but I don’t know how. That’s really pretty! I hope you are all better very soon! I love the light in the windows… Is this needle felting? Would love to see the other grandkids’ stockings. Are they all done the same way? Maybe you can take a pic when they are are lined up for Santa next Christmas!